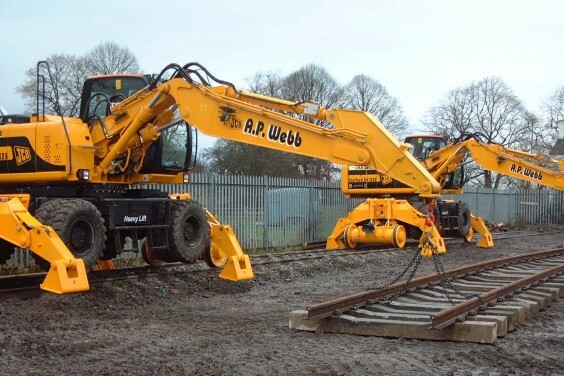 JCB – JS175 Excavator/Crane « A.P. 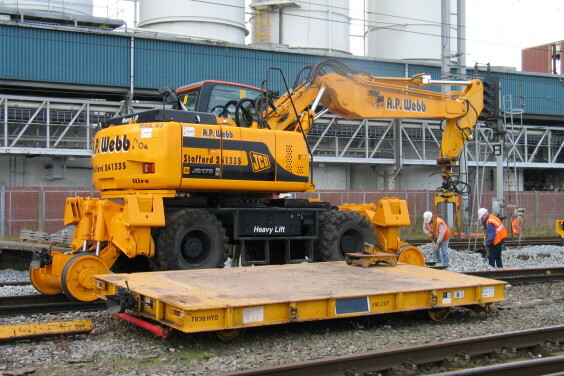 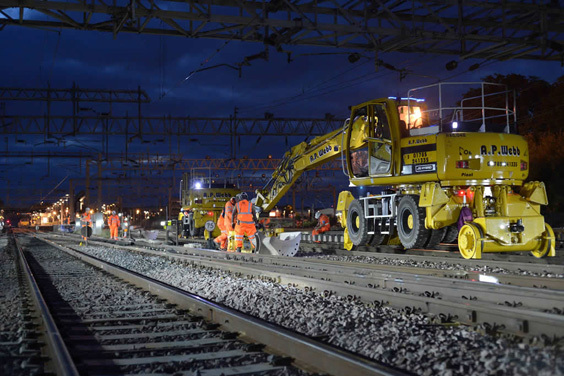 Webb Plant Hire Ltd.
A JCB JS175 modified by Rail-ability with outriggers and rail gear. 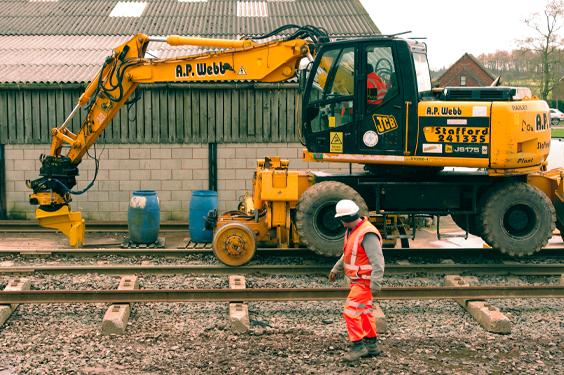 This machine brings the functionality of a crane but with more manoeuvrability.